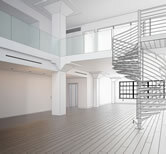 At Peden Property we source properties that have fantastic potential. Our team understands that you require more than just a property and that you are looking for great investment opportunity. Peden Property has the capability to source suitable tenants for you. This is accomplished using their tested vetting system to ensure that dependable tenants are placed in your property. This in turn will give you an assurance that your property is generating steady revenue. The team at Peden Property are highly skilled at sourcing properties which have a potential for high returns on investment. This is achieved using the in-house systems which take into account every parameter which the client specifies when they are looking for a property. Peden Property offers consultancy services which encompass various areas of importance when purchasing a property. These include Local Council regulations, Health and Safety Regulations and guidance on alterations to the property. Are you looking to add to your property portfolio? Do you need help with the refurbishment of a property for the buy to let market? 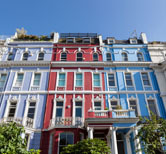 Are you an overseas investor looking to acquire property in the U.K? Are you looking for properties which you can buy, refurbish and re-sell to create additional income? If you are interested in purchasing an investment property in England then you have come to the right place. If you are a busy professional or business owner and simply don’t have the time or perhaps the know-how to refurbish a property to compliant standards before then putting it on the market, then Peden Property can help. Peden Property offers a ‘hands-off’ and hassle-free service to property investors who want a financial return or who want to add to their growing portfolio. If you invest in something you have put your trust in it. We want you to invest in us and trust us to do what we do best. Combining our knowledge, passion and skills, we will refurbish any property to an exceptional standard that and that is tailored to your individual criteria. 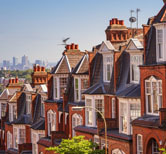 We are professionals who provide a fully comprehensive service who can seek out promising properties bursting with potential to refurbish ready for the buy to let market. 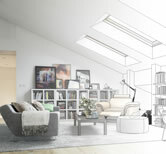 Where in the UK do you refurbish properties? Mainly in the Bexhill and Hastings area. But have a chat with us, as we may be happier to go further afield. 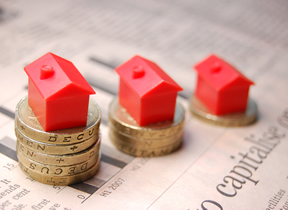 What should I look for in a property investment? You should look at the property itself making the necessary checks such as making sure there is no damp, ensuring the building and roof is structurally sound so there are no nasty, hidden expenses. The area is equally as important for investments. Be sure to check for schools, public transport links, local amenities and all the factors which are likely to have either a negative or positive impact on your property investment. Could you give me advice and help me in my search for a property? Although sourcing properties for you to buy isn`t the core service, ask us anyway as we may be able to help. Rest assured we are efficient in everything we do. We will arrange a suitable time to discuss your exact requirements of what you are looking for in a property. We gather all of the necessary details and apply them wholly to our search. We want to find you exactly what you are looking for, if not better. We will give properties back their potential.